CEO Jean-Jacques Micheli especially wanted to find a better way to present the work of the international artists and professional photographers he counts as clients, such as Joël Moens de Hase, a Belgian contemporary artist who creates photo mosaics and Johnny Razzia, a French fine art painter. Micheli found the answer with sublimation. 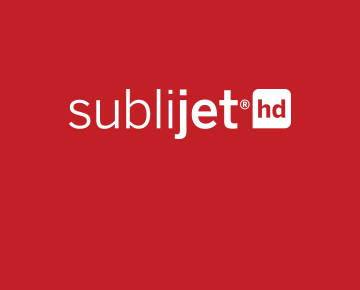 Labo J-J Micheli now offers prints on high definition ChromaLuxe metal photo panels imprinted using Sawgrass’ SubliJet-IQ Pro Photo eight colour sublimation inks. This set has long been the staple of pro photo and fine art sublimation throughout international markets, offering the superior colour and clarity for subtle skin tones, fine gradations and high contrast blacks needed for high end reproduction. Recently, Labo J-J Micheli has produced several exhibitions and events featuring sublimated panels: in New York with Belgian artist Jan Beddegenoodts and in Brussels at Expo Art Magna where the company exhibited work by JM Janssens, Jacques Meunier and Dimitri Polomé and fine art work by Sophie Voituron, Jos Tontlinger and Ron Grauer - all on ChromaLuxe aluminium panels.